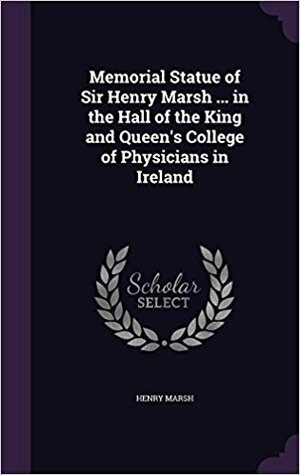 Henry Marsh - Henry Marsh read Politics, Philosophy and Economics at Oxford University before studying medicine at the Royal Free Hospital in London. He became a Fellow of the Royal College of Surgeons in 1984 and was appointed Consultant Neurosurgeon at Atkinson Morley's/St George's Hospital in London in 1987, where he still works full time. He has been the subject of two major documentary films, YOUR LIFE IN THEIR HANDS, which won the ROYAL TELEVISION SOCIETY GOLD MEDAL, and THE ENGLISH SURGEON, featuring his work in the Ukraine, which won an EMMY award. He was made a CBE in 2010. He is married to the anthropologist and writer Kate Fox.Do No Harm is his first book.